Portola Packaging Inc, a closure manufacturer in the US, says its North American facilities reduced energy usage by almost 30% and recycled approximately 9 million pounds of material over the past three years. The company reported a 9% reduction in kilowatt hour usage in 2012, in addition to 8% reduction in 2011 and a 10.5% decrease in 2010, compared to the years prior.In addition to energy reduction, Portola plants recycled in excess of 3.4 million pounds of scrap resin in 2012. Additionally, corrugated, paper, aluminum and steel were also recycled. “Ultimately, our objective is to create upstream processes which utilize material in the most efficient way possible. By doing so, there is less need to recycle on the back end. We also believe in partnering with our customers and communities to help make that happen.” said Kevin Kwilinski, President and CEO, Portola.Portola applied more than 20 initiatives in more than eight plants, which include concerted efforts to locate and reduce heat and air losses, corrugated case redesign to maximize cube footprint, installing higher efficiency compressors and decommissioning equipment with less than desirable output. In 2012, attention also was given on production floor layout, notes the company. Production footprints that were found to be inefficient from a material delivery or energy utilization perspective were modified. Production from older, lower-efficiency equipment was moved to newer, higher-cavitation machines. Modification of some shift schedules also helped reduce energy utilization and improve efficiency. Portola’s material recycling efforts also extended to hydraulic oil waste, scrap metal, aluminum cans, office paper, etc.The company continues to work with customers on an individual basis to convert shipments from corrugated boxes to Gaylords. As said, this enables 30-35% more closures to be shipped per truckload and reduces fuel and packaging materials costs significantly. Furthermore, Portola is also factoring source-reduction initiatives into its closure development. 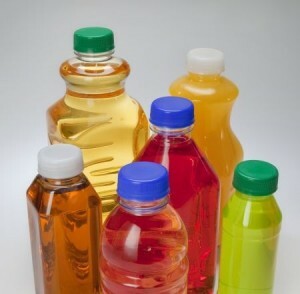 Last fall, the company launched its GreenLyte one-piece, high-density PE 38mm plug closure for hot-fill beverage products, which is an alternative to traditional two-piece (closure plus liner) PP types typically used for juices, ready-to-drink teas, isotonics, enhanced waters, low-acid nutraceuticals, and high-end, aseptic-filled beverage products.